We've got Australia's best range of gifts for men. Browse our huge range of men's gifts and you're sure to find just what you're looking for! Mens gifts don't have to be difficult to buy; we've gathered together awesome men's gift ideas so you can do your online gift shopping with ease. You won't go wrong with our great range of gifts for men. Men's Gift Ideas With FREE Shipping Offers Available NOW! Whether it's gifts for guys who love to cook, presents for men who love fishing, or you're looking for inspiration for great books for men, we've got you covered. 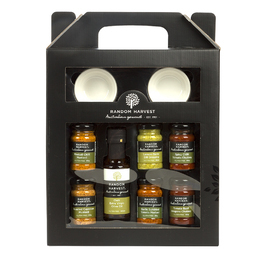 With Beer and BBQ Gifts, Gourmet Hampers, Cufflinks, Novelty Gifts and more! 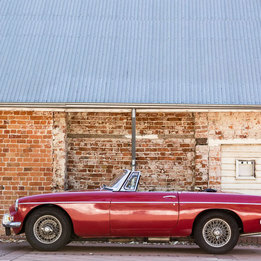 So find your inspiration in the leading mens gifts store in Australia! Still cannot decide what to get him? Do not hesitate to contact us directly and ask for the advice of our professionals who will help you figure out the best gifts for men you're needing presents for. Everything but Flowers offers customers a large range of mens gifts to choose from. Picking the perfect gift for a man can be quite tricky, but our company aims to make the choice easier for you. 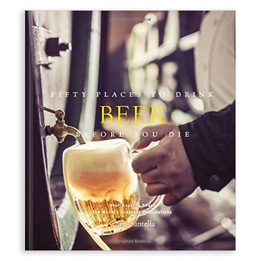 Men who like the occasional beer will certainly appreciate our ever-growing range of beer and bar gifts for men, with a range of options from novelty beer gifts to stylish crystal barware, there's plenty of gifts for guys for every shopping budget. You could opt for our Beer Connoisseur Glass Set or a game of Beer Pong whatever his interests and personality the perfect gift is guaranteed to be in our Sydney warehouse ready for delivery Australia-wide. Gifts For Men Who Are Food Lovers? Or you could be looking for a present for someone who likes fine wine, reading and gourmet food. If this is the case, you will also find what you are looking for in our range of mens gifts. Everything but Flowers ensures that only the finest wines, foods and books are selected for our exclusive range. Don't look past the benefits of buying a great kitchen gift for men, or a recipe book for guys. Whether he's inspired by the latest season of Masterchef, or just loves providing for his family, we've got something in stock to impress. There are plenty of options in men's gift range for people that like some adrenaline in their system as well. You can choose a great sky diving experience or go surfing! Be sure to come back regularly to discover more adrenaline rushing experiences that are waiting for you. Novelty Men's Gifts & Birthday Gift Ideas? 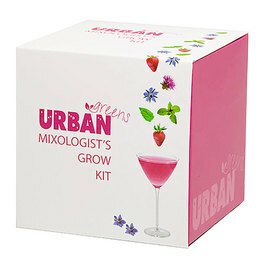 If you are looking for a gift for someone who likes to joke around, have a look in our range of novelty gifts. Everything but Flowers aims to provide a large number of novelty mens gifts for those cheeky men who like to share their humorous character with the world! Having real trouble deciding in our large range of mens birthday gifts? No problem, because we also offer instant gift vouchers that will make your choice a lot easier. Many people prefer picking a gift for themselves, especially men who tend to jump from one hobby to the next. Our gift vouchers are also pretty diverse. You can buy a gift voucher for an experience or a voucher for Everything but Flowers that the recipient can use to pick a gift on our amazing website! Everything but Flowers gift vouchers vary from $50 to $500, so there is a suitable choice for everybody! What Are Some Birthday Present Ideas for Men? At Everything but Flowers, you can easily find some unique birthday present ideas for men. In our collection, you can find birthday presents such as personalised leather wash bags, wine, novelty games, barbecue utensils, and so much more. 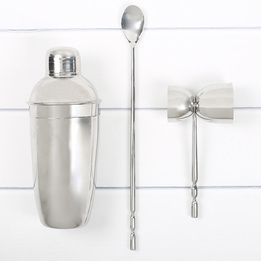 In this collection, you will undoubtedly find the best present ideas for your male recipient. What Are Some Present Ideas for Men Who Have It All? Finding a gift for a man who has absolutely everything is not that easy, but Everything but Flowers certainly has a suggestion that could be perfect for someone who has everything already. Instead of a normal physical gift, why not choose one of the experiences available at Everything but Flowers? Our range contains countless experiences that even a man who has everything can appreciate! What Are Some Anniversary Presents for Men? Looking for something original for an anniversary? Check out some of the anniversary gifts offered at Everything but Flowers. In our catalogue of anniversary presents, customers can find options such as special anniversary glasses, wine, champagne, and other items suitable for an anniversary. So, if you need some ideas, check out some of the available items at Everything but Flowers today. What Is the Best Gift a Guy Can Get? While it may be quite evident, the best gift a guy can get does depend on his personal preferences. For example, you may have found the latest gadget online, but this gadget will do little for someone who could be described as a technophobe. Customers who are searching for that perfect fit for their male recipient should always consider his personal preferences. Not quite sure what his personal preferences are? Get in touch with some of his friends or family members to get some useful tips. Of course, keep your cards close to the vest, because you do not want to ruin the surprise! What Are the Best Birthday Presents for Guys? Even though you have personal preferences to consider, there are some men’s gifts that are popular across the board. 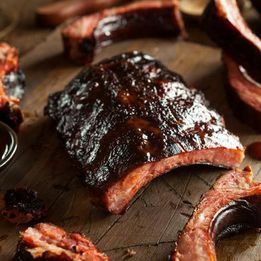 The best and most popular birthday presents for guys often include grilling accessories, personalised wallets, personalised sports gear, beer glasses, whiskey tumblers, and unique experiences. What Are the Top 5 Men’s Gift Ideas? Customers who have no idea about the personal preferences of their recipient can get some inspiration from our personal top five below. We asked men what they would like to receive from our catalogue as a present for a special occasion, and these are the items they chose! 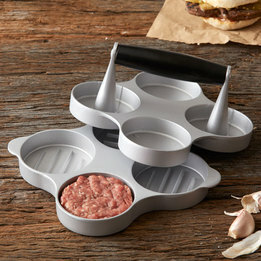 While this may not be a choice you have considered at all, the Slider Mini Burger Press is one of the most wanted presents in our collection. 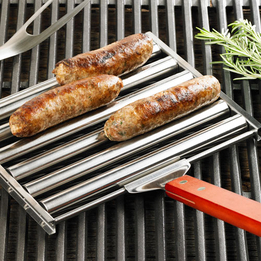 With this press, your recipient can create mini burgers to his heart’s content and avoid some of the usual hand strain as well thanks to the ergonomic design of this kitchen gadget. 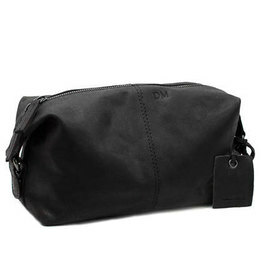 Wash bags are often overlooked as men’s presents, because many believe men do not have as much grooming products they need storage for. Still, times are changing, because the men we interviewed named our Men’s Personalised ‘Oxford’ Leather Wash Bag as the number two item they want. The Men’s Personalised ‘Oxford’ Leather Wash Bag is made from high-quality leather, ensuring your recipient gets the most out of this bag for years to come. Customers can also choose to apply the monogram of their recipient to this wash bag, which immediately makes the gift a lot more personal. 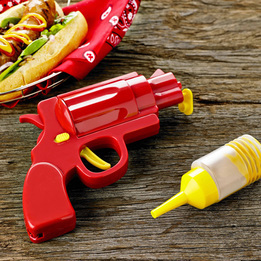 No wonder our Maverick Barbecue Tool Set is incredibly popular! This tool set from our collection contains eighteen essential barbecue tools, including BBQ forks, tongs, knives, and corn cob holders! We would have been surprised if the top five of most wanted presents for guys would not include a selection of beers. 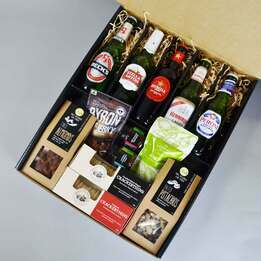 Still, Australian men did not disappoint, because they named our James Squire Ale Hamper as the fourth most wanted gift for a special occasion. 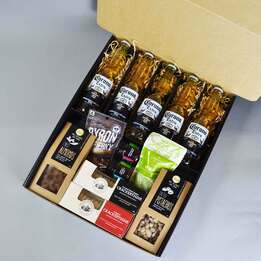 There are many things to love about the James Squire Ale Hamper. 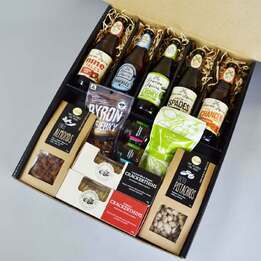 Not only does this hamper contain some of the best James Squire beers, the beers are beautifully complemented by countless gourmet treats that match the beer flavours inside. It would seem there were many wine lovers amongst the men who provided us with these top picks, because our number five is none other than the Cape Mentelle 2013 Cabernet Sauvignon in a Premium Gift Box. The Cape Mentelle winery has enjoyed an impeccable reputation for years, something that can also be said about this exquisite wine release. What Can Be an Ideal Gift for Men? The perfect gift is always subject to your recipient’s personal preferences, but also to your own creativity. As you probably noticed from our top five of most wanted presents, the personal preferences of men can be incredibly diverse, so combining your ideas with his preferences is often the key to finding that perfect present! When you take advantage of our range of mens gifts, you can also use our gift wrapping service! Everything but Flowers offers premium and luxurious gift wrapping for every item in our range. However, gift hampers already come in a beautiful box and do not require any additional wrapping. If you decide to pick a present from our range of mens gifts, you can also take advantage of a free gift card with every item! The gift cards come in different sizes, so customers also get the option to upgrade to a full size gift card. Our company is also quite proud of our delivery and tracking service. We have developed an excellent delivery system with a flat rate delivery charge of $10.95, even for the bigger items! Customers who shop in our mens gifts category can also take advantage of free delivery when they spend more than $99. The delivery times for mens gifts may vary according to your location. Our standard delivery times are usually between 1 and 7 business days. If you are unsure about our delivery times, please refer to our delivery page for more information. Do you have some additional questions about our mens gift, delivery charges or do you have any special requests? Do not hesitate to contact our friendly support staff and take advantage of everything we have to offer you! Choosing a gift for a man does not have to be hard, since Everything but Flowers provides you with an extensive range of gifts for men to choose from! In our range of gifts for men, you can find beers, BBQ tools & accessories, cufflinks, watches, wallets, hampers, homewares, novelty gifts for men, and personalised gifts. 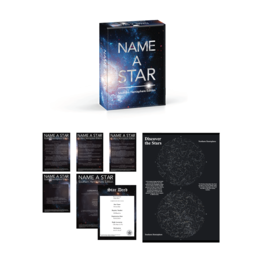 In short, all the physical gifts that could match your recipient’s personal preferences. Even though our men’s gifts range will contain a physical gift your bloke might enjoy, we still recommend looking at our range of experiences for men as well. Within this range of experiences, you can count on memory-creating gifts such as photo experiences, sailing, urban beer tours, balloon rides, helicopter flights and all other things that men could possibility appreciate. Still, if you have no idea what to get for your bloke, there is still no reason for panic, because Everything but Flowers also provides gift vouchers that you could gift to your bloke instead. Once he receives a gift voucher, he can use it to buy any of the gifts and experiences on Everything but Flowers for that amount, which means you have just the perfect gifts for him!